The basic rhythm is AV Nodal/Junctional. An independent, slower atrial rhythm is present. There is no conduction of atrial impulses to the ventricles. 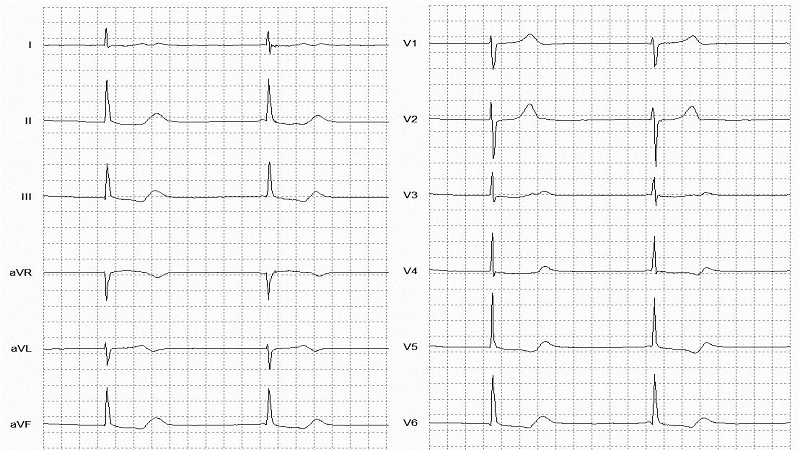 Since the ventricular rhythm is regular and of AV nodal origin, it is evident that no atrial impulse has activated the ventricles.